Barely four months after offering quota to Dalit staff, the Khattar government has put on hold 20 per cent reservation for the Scheduled Caste (SC) employees in departmental promotions. In a circular issued here yesterday, the Haryana Chief Secretary directed the departmental heads to put on hold the promotion quota for class III and IV employees. While the circular seems to be an offshoot of the stay granted by the Punjab and Haryana High Court on May 27, the decision is set to cause major embarrassment to the Khattar government looking to widen its base among the Dalit community. 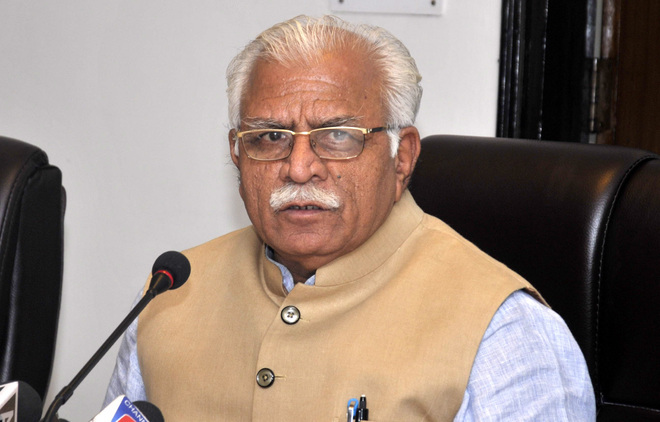 On January 30, the Haryana Cabinet under the chairmanship of Chief Minister Manohar Lal Khattar had accepted the P Raghvendra Rao Committee report paving the way for quota in promotions for the Dalit employees. The government’s notification issued on May 15, 2015 was supposed to come into effect from April 1, 2013. The government, which does not see eye to eye with its employees on several issues — especially after it rolled back retirement age from 60 to 58 years and put “on hold” Punjab pattern pay scales — was in search of a way out to mollify state government employees, especially the Dalits. The acceptance of the Rao committee report, which was touted to be a major “pro-employee” by Khattar, was seen as a political decision. In last year’s parliamentary and Assembly elections, the BJP reportedly drew a large number of non-Jat votes. However, the Dalit voters reportedly did not go with the BJP and chose either the Congress or the INLD. The current move to provide quota in promotions was seen as an attempt to woo the influential Dalit community in the state. The Rao committee was constituted to assess the backwardness and inadequacy of representation of SCs in promotion in government service. The committee concluded that there was inadequate representation of SCs as compared to their proportional representation in the total population of the state at almost all levels of service and the administrative efficiency was not likely to be affected by promotions in service.